Here is an unusual one… a lawyer in Texas lost her license to practice law because of a Medicare fraud conviction. Gwendolyn Climmons not only can’t practice law, she can’t even use her name in conjunction with the words “lawyer” or “attorney.” According to court records, Climmons was sentenced to 8 years in prison for her role in a Medicare fraud scheme. 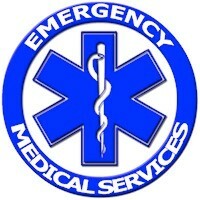 Climmons was indicted in 2012 in connection with a Medicare fraud scheme involving Urgent Response EMS, a Houston area ambulance company. The FBI claimed that Urgent Response billed Medicare for ambulance services that were either not medically necessary or in some cases, not even provided. Last June she was convicted of conspiracy to commit healthcare fraud and four counts of health care fraud. Each count carries a 10 year maximum sentence unless a patient dies or is harmed by the fraud. Despite facing 50 years in prison, Climmons was recently sentenced to 97 months in federal prison, followed by three years of supervised release. She was also ordered to pay $972,000 in restitution. The FBI claims that she had submitted $2.4 million in fraudulent claims to Medicare. We were surprised to learn that after her conviction, Climmons contested the suspension from the State Bar of Texas. Despite having filed an answer seeking to keep her license, she failed to appear at the hearing. Medicare fraud is a huge problem in Houston. The Centers for Medicare and Medicaid Services claim that Houston has one of the highest Medicare fraud rates in the country. (The region shares that dubious honor with Miami and Detroit). Things became so bad last year that the feds placed a moratorium on new ambulance companies being able to register for Medicare in Houston. Most Medicare fraud cases come to light because of whistleblowers. Those whistleblowers that file a lawsuit in federal court under the federal False Claims Act can be awarded up to 30% of whatever the federal government collects. Because the law provides for both triple damages and up to $11,000 per false bill submitted to Medicare, the awards can be staggering. Ambulance scams are a common method of Medicare fraud. Some disreputable operators bill for transports never performed, mark up basic transports as “advanced life support” runs and even forge medical necessity paperwork on patients who are otherwise ambulatory or could call a taxi. Last month, the federal government began cracking down not only on ambulance companies that transport “healthy” patients on the taxpayer’s nickel but also on hospitals. Some hospitals use private ambulances as taxis simply to get people home or back to nursing homes so they can free up bed space. Think you have information about Medicare fraud? Give us a call. We have helped our whistleblower clients collect over $100,000,000.00 in award monies and have helped the government collect billions on behalf of taxpayers. MahanyLaw – America’s Medicare Fraud and Whistleblower Lawyers.